Unless you are an interior designer, property developer, an architect or someone with expertise in home window replacement, you are unlikely to know much about it. When you have to invest in home window replacement, you must do some homework. You cannot go wrong with your choice of windows or your choice of the company that would do your home window replacement near Chicago. Here is a simple guide to help you make the right decisions. First, you need to choose a good company for home window replacement near Chicago. 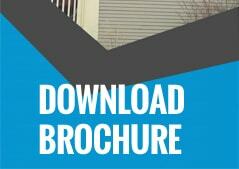 Make a list of all the companies that cater to home window replacement near Chicago and then compare their profiles. You need to set the criteria to make the comparisons. The criteria should include number of years in business, specialities or areas of expertise, portfolio, credentials and customer reviews. You should look for valid licenses, adequate insurance coverage, accreditations from Better Business Bureau and EPA, types of windows they work with and the energy efficiencies of such solutions, infrastructure and manpower, cost and warranty. If you can run an exhaustive comparison of the companies, then you can certainly come up with a few which will be better than the rest. Once you have a few names, call them up and schedule consultations. During the consultation, ask as many questions as you want, clarify all your doubts, ask hard questions about durability, how much money you would save on your energy bills with the new windows, how you would maintain them and what the company would do if there is a need of some repairs or untoward damages. You must try and find out as much information as you can. The consultation is the phase during which you will choose the best among the good ones. Following the consultation, you would receive the estimates and accordingly you should choose the best windows at the most cost effective estimate. You should avoid opting for windows that don’t have adequate insulation. Apart from the materials used in windows which contribute to energy efficiency in your home, there can be additional insulation which you should opt for. Also, you must choose windows that are easy to clean and maintain. Don’t opt for solutions that would require a professional to attend to it whenever there is some problem or when you have to take care of your investment. To schedule an appointment for an estimate, call us today at (708) 204-2446 or click on our contact form for a super fast response!. 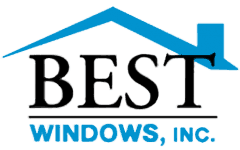 You can also visit our website Bestwindows.net to know more about home window replacement near Chicago.